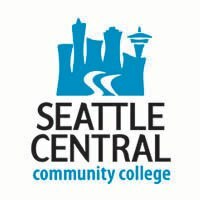 Seattle Central Community College is a community college located in Seattle, Washington, in the Capitol Hill neighborhood. It is one of the three colleges which make up the Seattle Community College District. The Great Depression to the War on Terror: Enter the World Stage via Canvas Network Self paced No reviews yet. From the Gilded Age to the Roaring Twenties: The Emergence of Modern America via Canvas Network Self paced No reviews yet. First Peoples to the Early Republic: Born in Colonialism via Canvas Network Self paced No reviews yet.